Singer Ozzy Osbourne was reportedly transferred to intensive care after he was hospitalized last week. Osbourne, 70, was taken to a private hospital’s intensive care facility after his bronchitis became progressively worse, the Daily Mail reported on Feb. 10. His wife, Sharon, and two children, Jack and Kelly, were in the hospital and have been trying to keep his spirits up for the past few days, the paper reported. “He’s been really struggling with flu, which turned into bronchitis. Doctors feared he could contract pneumonia which, in a person over 70, can be fatal,” a source was quoted by the Mail as saying. “This sparked a lot of panic among those closest to him, but doctors reassured everyone he was in the best possible hands,” they added. “The worst is over, he’s smiling again, and he can’t wait to get up on stage,” said the person. Osbourne has spent nearly two weeks in the hospital due to illness. The rock legend has been transferred to intensive care. On his website, he said he was forced to cancel the European leg of his tour due to the illness. “First the staph infection in my thumb and now coming down with the flu and bronchitis. I want to apologize to all of my fans who have been so loyal over the years, my band, my crew, and to Judas Priest for letting you all down. However, I promise the tour with Judas Priest will be completed. It’s being rescheduled right now to start in September. Again, I apologize to everyone. God Bless. Love you all, Ozzy,” he continued. 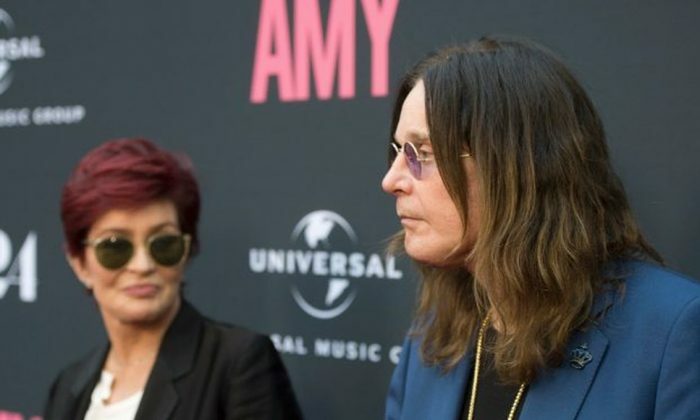 Then, his wife, Sharon, confirmed that Osbourne was in the hospital on Feb. 6. Meanwhile, Osbourne’s first album, “Blizzard of Ozz,” was recently certified quintuple-platinum after selling five million units. Pneumonia is an infection of the air sacs in one or both lungs. “The air sacs may fill with fluid or pus (purulent material), causing cough with phlegm or pus, fever, chills, and difficulty breathing. A variety of organisms, including bacteria, viruses and fungi, can cause pneumonia,” says the Mayo Clinic’s website. The illness can range in seriousness from mild to life-threatening. However, it is “most serious for infants and young children, people older than age 65, and people with health problems or weakened immune systems,” says the clinic. People over the age of 65 are generally recommended to go see a doctor if they are suspected of having the illness, it says. “For some older adults and people with heart failure or chronic lung problems, pneumonia can quickly become a life-threatening condition,” the Mayo Clinic adds.